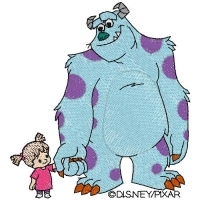 These embroidery designs have been manufactured by Brother under a licensing agreement with ©Disney|Pixar. All rights reserved., through which Brother has permission to use ©Disney/Pixar images. The embroidery patterns offered on this website are for personal non-commercial use only. No license is granted for any commercial use of these patterns and any such use is strictly prohibited.